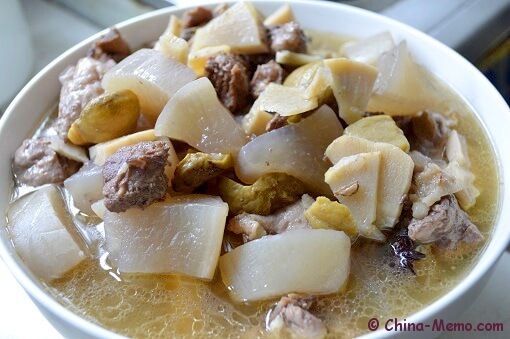 Chinese home cooking recipe from my parents, Chinese duck radish soup: the chopped duck legs are cooked with Chinese white radish, bamboo shoot and chestnuts, seasoned by star anise, ginger and dried orange skin. Light and healthy. As you may have seen from my other post about Chinese homemade soup, when we make soup, we don’t use the blender to break the ingredients. 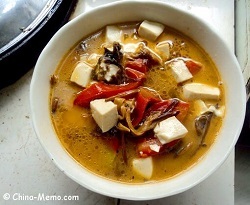 Instead, all ingredients are cooked in their shape but all flavours are mixed in the soup, such as the Chinese tomato egg soup and Chinese tomato tofu soup. My father always like to pay attention to food nutrition as well. For example, due to his healthy condition, he always prefers to have the “cooling” food rather than the food with heat. 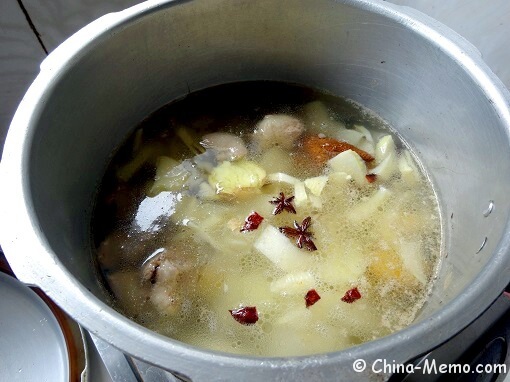 That’s why here he makes this soup with duck and white radish because both of them belong to the “cooling food”. 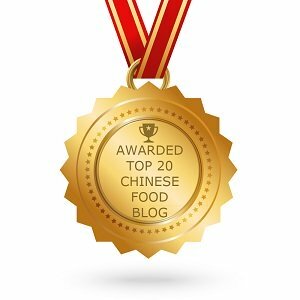 I have given more details about these “cooling” and “heating” food in the post for Chinese Duck Potato, you may check it there. Instead of duck, you can use other type of meat. 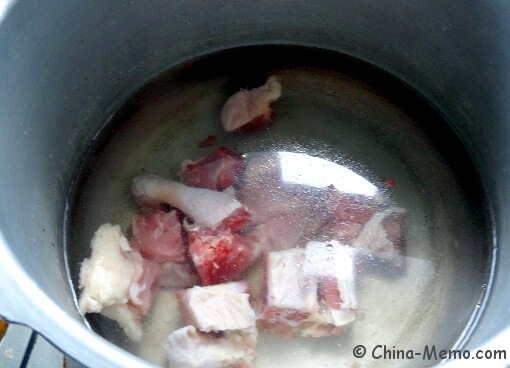 For example, pork ribs are usually we would use for making soup with white radish. 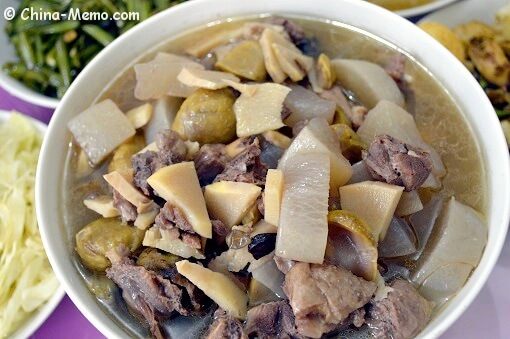 This Chinese duck radish soup is light and healthy. 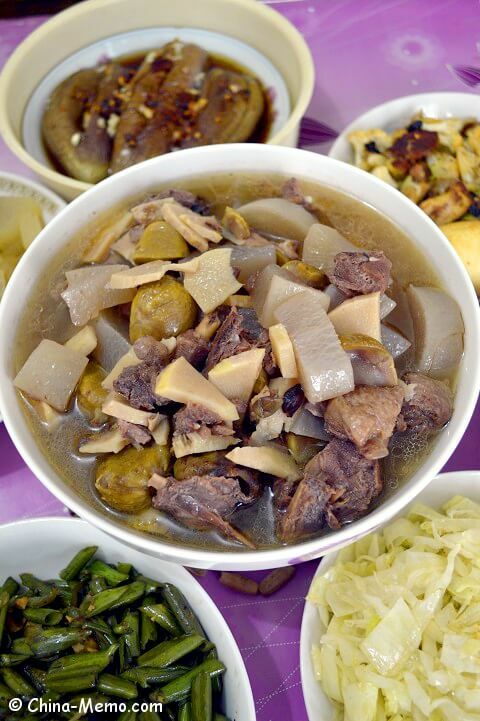 We usually serve the soup with a homemade dipping sauce, which helps to give additional flavour to the meat and radish. Scroll down to watch the video, to see how my father makes this soup and dipping sauce. 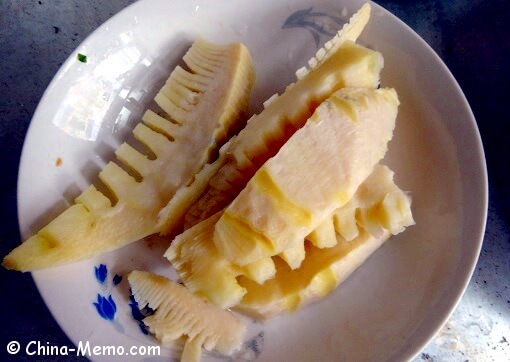 This is Chinese bamboo shoot, which can use the fresh one, or if use dried ones, need to be soaked in advance. 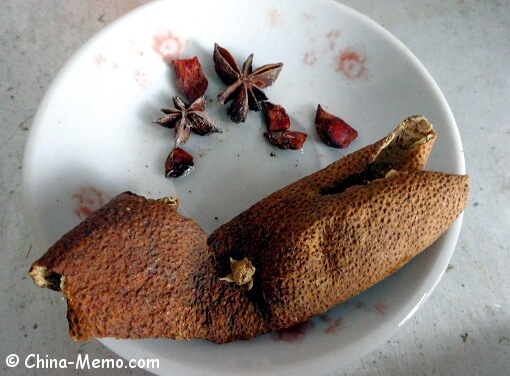 The star anises and dried orange skin. 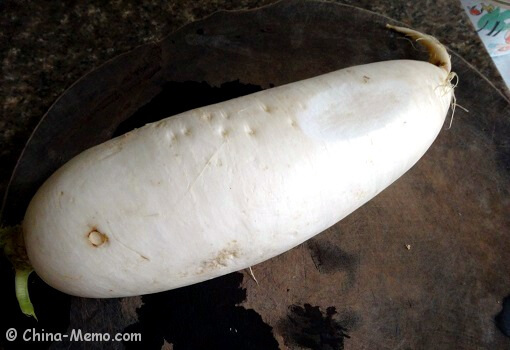 Chinese white radish, often used for soup, can also used for salad. • Clean duck leg and chop it into small chunks. 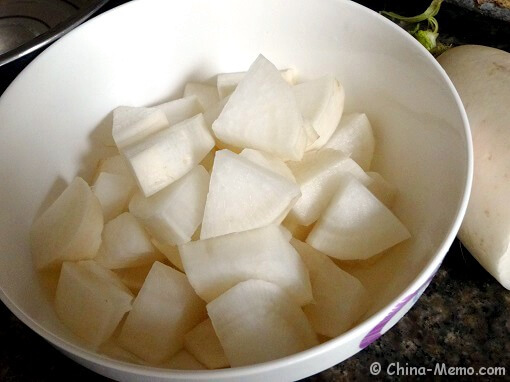 Cut white radish into small chunks too. 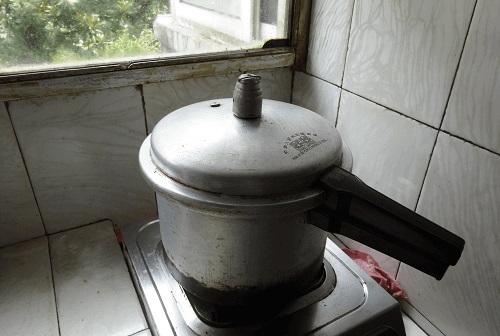 • Add duck and water in a wok or sauce pan, here is a pressure cooker. 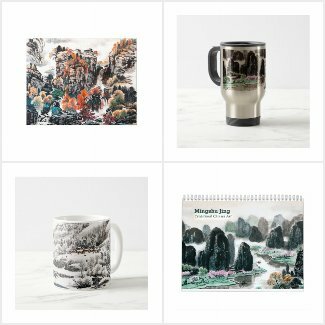 Bring water to the boil. Remover the foam from the top. 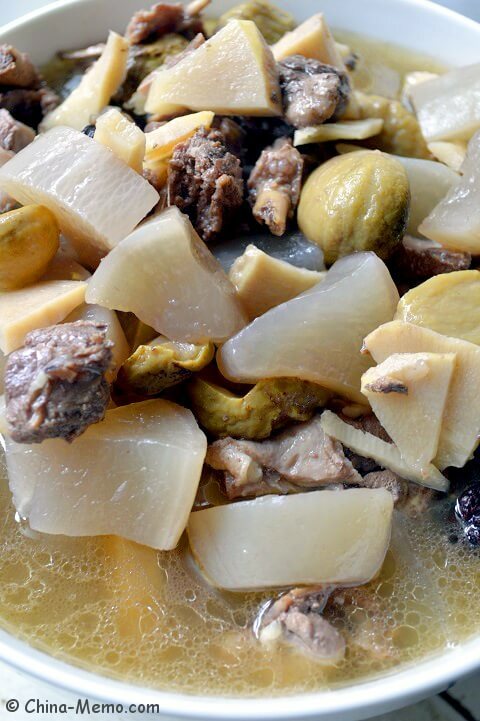 • Add radish, bamboo shoot and chestnuts. Also add the smacked ginger, star anise and dried orange skin. 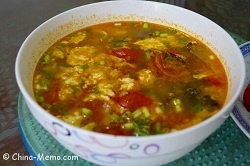 • Cover the pressure cooker lid, cook for about 20 minutes. Here my father used pressure cooker, if use the sauce pan, it will take longer, until the meat is tender and radish softened. 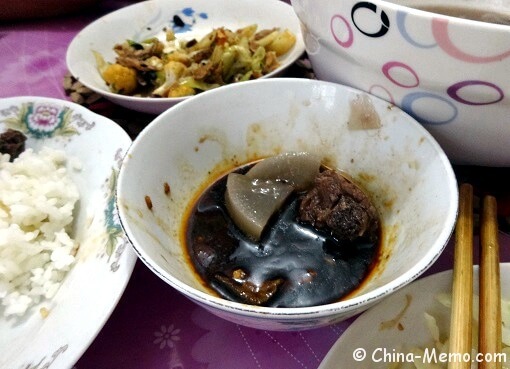 You may watch the video here to see how my father makes this duck radish soup. • Smack garlic gloves and finely chop them, put in a bowl. 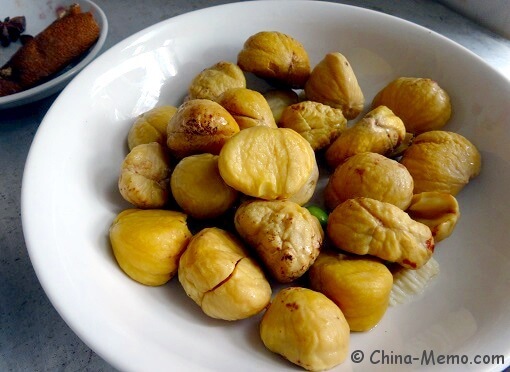 • Add light soy sauce, Chinese bean paste, salt, sugar and sesame oil, stir and make all taste to mix well. Note, depend on personal preference, you may not need to add the salt. But since this sauce is served with soup, it will be easily diluted after serving. Here is another short video to show how my father makes the soup dipping sauce. 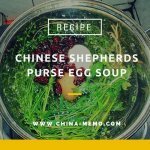 You may also like to see more about Chinese homemade soup, such as Chinese Egg Tomato Soup and Chinese Shepherds Purse Egg Soup.